(2016/Dust To Digital) 30 tracks. Silkscreened cigar box with foil stamping details throughout, 120-page leatherette book, and four CDs containing 4 hours and 30 minutes of audio. Includes introduction by Lee Ranaldo, field notes by Paul Bowles, and annotations by Philip Schuyler. 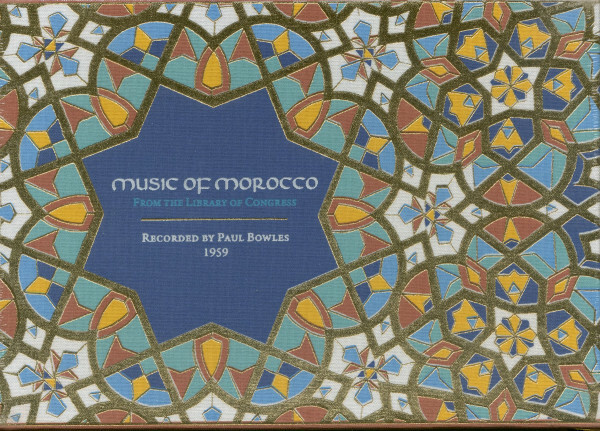 From July to December 1959, Paul Bowles crisscrossed Morocco making recordings of traditional music under the auspices of the Library of Congress. Although the trip occupied less than six months in a long and busy career, it was the culmination of Bowles's longstanding interest in North African music. The resulting collection remained a musical touchstone for the rest of his life and an important part of his mythology. Paul Bowles (1910-1999) was an American expatriate composer and author. He became associated with Tangier, Morocco, where he settled in 1947 and lived for 52 years to the end of his life. While living in Morocco, Bowles became a magnet for those envisioning the artist's life away from the mainstream. He was idolized by writers of the Beat Generation, many of whom visited Bowles and his wife Jane in Tangier - a city Burroughs would later reimagine as the "Interzone" in his 1959 novel Naked Lunch. Over four months in 1959, Bowles traveled an estimated 25,000 miles around Morocco, capturing vocal and instrumental (including dance) music of various tribes and other indigenous populations at 23 locations throughout the country. In 1972, the Library of Congress issued a double LP titled Music of Morocco, containing selections from the collection. This four-CD set contains the recordings included on that double LP in addition to a wealth of never-before-heard music from this rich collection. 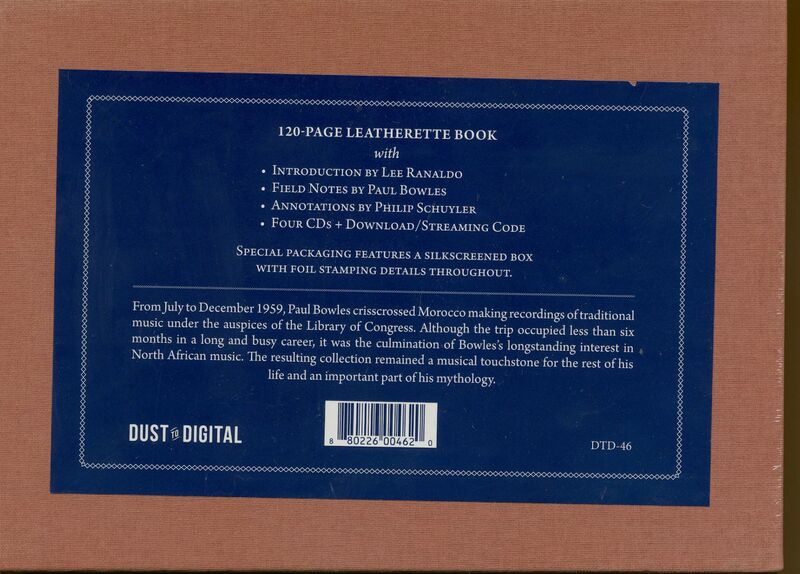 Customer evaluation for "Music of Morocco: Recorded By Paul Bowles 1959 (4-CD)"